“The Laboratory Concept. The Path to the Forum: The Humboldt Lab Dahlem,” the concluding exhibition of the Humboldt Lab Dahlem, was a retrospective, a perspective and a synthesis all in one. 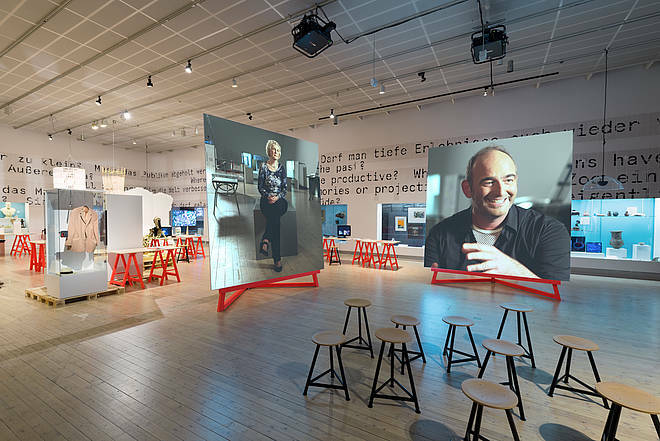 All the experiments that took place from 2012 through 2015 and which were subsequently discussed within the seven “Probebühnen” were displayed and reflected upon - including their premises, aims, experimental form and their outcomes. Of particular note within this exhibition on exhibiting were the protagonists’ perspectives: those who have shaped the Humboldt Lab and who will be contributing to the development of the Humboldt-Forum itself: What fascinated them especially about the Humboldt Lab? What ideas do they consider to be practical? In what form? And how will the discourse be maintained? The concluding publication “The Laboratory Principle. Museum Experiments in the Humboldt Lab Dahlem” is published by the Nicolai Verlag. It documents and reflects upon the Humboldt Lab projects – as a contribution to the societal relevance of museums in the 21st century. You can find a brief description of the project here.